Keynote speakers & Program – Deutsches Netzwerk APN & ANP g.e.V. ist Professorin für Pflegewissenschaft an der Frankfurt University of Applied Sciences. Sie leitet den Masterstudiengang „Pflege – Advanced Practice Nursing“ (M.Sc.). Ihre aktuellen Arbeitsschwerpunkte sind Case Management, Klinische Ethik und Wirtschaftsethik der Pflege, Rollen, Aufgaben, Modelle und Konzepte in Advanced Nursing Practice, Clinical Leadership. Nancy Carter is an Associate Professor and Assistant Dean of the Graduate Nursing Programs at McMaster University in Canada. Nancy’s clinical experience includes pediatrics and women’s health. Her PhD work included a needs assessment of men with metastatic prostate cancer to inform the development of an APN role. She also held a two year funded Post Doctoral award to promote knowledge translation of APN research to nursing and healthcare leaders. Nancy’s current work at McMaster involves an evidence-based renewal of the curriculum for Masters, NP, and PhD Programs. She is a member of the Canadian Centre for Advanced Practice Nursing Research (CCAPNR). She has published over 50 peer-articles in related to nursing roles and health services. Currently her research focuses on how marginalized groups access primary and specialty health care and the development and evaluation of models of care which include Advanced Practice Nurses. Worldwide, the needs of citizens continue to evolve. The key drivers influencing health and healthcare include the social determinants of health, health equity and disparities, and health workforce issues. Nurses working in advanced roles, including Nurse Practitioners and Clinical Nurse Specialists, are key to meeting unmet health needs and promoting wellness. However, there are national differences in the uptake of these roles and the barriers APNs face. Through exemplary graduate nursing education, advanced practice nurses will be prepared to meet the needs and move health and healthcare forward. 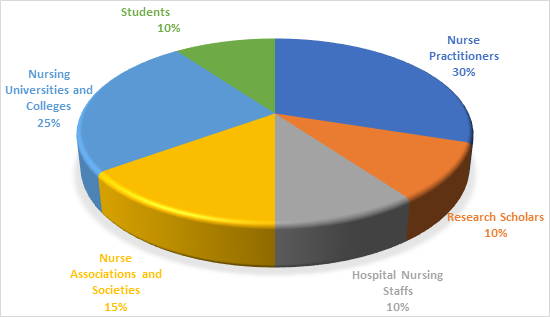 Innovations relative to graduate nursing education include global health and globalization, increased nursing research, the influx of healthcare technology, and quality improvement and safety. What new and anticipated changes to nursing practice should be incorporated within contemporary and exemplary graduate nursing education programs? How can nurses working in advanced roles influence future Nurse Practitioners and Clinical Nurse Specialists? In der Solothurner Spitäler AG an den Standorten Solothurn und Olten haben sich im letzten Jahr zusätzlich zu der bekannten Rolle der Clinical Nurse Specialist (CNS) zwei Rollen mit der Ausprägung Nurse Practitioner (NP) entwickelt. Die Tätigkeit der zwei NP ist stark am klinischen Bedarf der jeweiligen Kliniken und deren Patienten orientiert, mit dem Ziel grösstmögliche Behandlungskontinuität zu gewährleisten. Die täglichen Aufgaben der beiden Rollen unterscheiden sich voneinander und werden fortlaufend weiterentwickelt. Ilka Lendner MScN, übernimmt in ihrer Rolle ärztliche Aufgaben im Bereich der direkten Patientenversorgung, zum Beispiel innerhalb der Visiten, bei der Abgabe von Medikamenten, innerhalb der Diagnostik und Therapie, sowie bei der Koordination der Behandlung und des Austritts. Manuela Wyss MScN, übernimmt gemeinsam mit dem Arzt die geriatrische Betreuung von betagten Patientinnen und Patienten, bespricht Ziele, Therapie- und Behandlungspläne und leitet die Behandlung ein. Die zwei Pflegeexpertinnen entwickeln zwei NP- Rollen, welche in der Schweiz noch neu sind. Nebst einer akademischen Ausbildung braucht es für die NP- Rolle Berufserfahrung aber auch eine Institution und Vorgesetzte, welche sich auf diese Entwicklung einlassen und es wagen Neues auszuprobieren. Weiter ist die Entwicklung und die Akzeptanz der Rolle abhängig von einem ärztlichen Mentor im Fachgebiet in welchem die NP arbeitet. Lehrgangsleiterin an der FH OÖ für Advanced Nursing Practice, Interkulturelles Pflegemanagement, Care Management und Integrated Care Systems. Ehemalig Pflegedienstleiterin in einer Privatkrankenanstalt. Intiatorin des Forum ANP; einer Interessensgruppe aus StakeholervertreterInnen, die die Förderung und Implementierung von ANP in Österreich zum Ziele hat. Wissenschaftliche Leiterin des ANP-Kongresses in Österreich sowie des ANP-Newsletters in Österreich. Due to economic, technological, professional and client demands, extensive changes are currently being seen in healthcare systems worldwide. Traditional professional roles are being challenged and task shifting is being utilized at an increasing rate. The job descriptions of nurses have to be renewed in order for all citizens to have access to high quality and cost-effective services in the future. The population wishes for individual, tailored health services, i.e. care and treatment from a person-centered perspective. Access to treatment, which is a problem in primary health care in particular, can be improved with new roles and by utilizing digital technology. Due to these reasons, a new career model for registered nurses was launched in Finland in 2014. Advanced practice nursing was used as an umbrella term that covers two main titles and including job descriptions, these are Clinical Nurse Specialist and a Nurse Practitioner. Especially the Nurse Practitioner role is described based on the core competencies of the Nordic model of advanced practice nursing. These are foremost the competence in direct clinical practice followed by ethical decision-making, guiding and coaching, cooperation, consultation, case management, leadership and research and development. The core of the Nordic model consists of central core nursing values and the nurse-patient relationship. Dr. Schober is a nurse practitioner and President of Schober Global Healthcare Consultants. As an international healthcare consultant she provides consultancies to governments, academic institutions and healthcare clients. In this capacity she has provided her expertise to over 40 countries seeking to develop and implement advanced practice nursing roles. In addition, she has held academic positions at Aga Khan University in Karachi, Pakistan; Hong Kong Polytechnic University in Hong Kong and National University of Singapore in Singapore. Her areas of expertise in advanced nursing practice include health policy, curriculum design and program development. In capacities as a nurse practitioner, educator, mentor, writer, lecturer and consultant Dr. Schober advocates for insightful care to diverse populations and strategic planning for improved access to healthcare services. Conclusion: The integration of advanced practice nurses into the healthcare workforce is a dynamic change in the provision of healthcare services requiring a mind shift by policymakers and healthcare professionals. The development of policies to support this new nursing role to its full potential is essential. Strategic planning could facilitate integration of advanced practice nurses into the healthcare workforce. A Conceptual Policy Framework is proposed as a guide for a coordinated approach to policy development and implementation of advanced practice nursing. direkt in die Diskussionsrunde einsteigen und teilnehmen können. Frau Fajardo ist Altenpflegerin, Diplom-Pflegewirtin (FH), Wirtschaftspsychologin M.Sc. und Unternehmensberaterin bei CURACON im Bereich der Altenhilfe. Sie engagiert sich als stellv. Vorstandsvorsitzende des Bundesverbandes Pflegemanagement für die Interessen der Führungskräfte in der Kranken- und Altenpflege und ist Delegierte im Deutschen Pflegerat. Frau Fajardo ist zudem Lehrbeauftragte an der Hamburger Fern-Hochschule in den Fächern Pflegemanagement und Psychologie und veröffentlicht regelmäßig Fachartikel mit den Schwerpunkten Personal- und Organisationsmanagement. Präsident DN APN & ANP g.e.V. Was erwarten Pflegedirektor*innen von Advanced Practice Nurses in Deutschland? Körperliche Untersuchung als Bestandteil von Advanced Practice Nursing (APN) – auch im deutschsprachigen Raum relevant? Akademische Fachgesellschaft Mental Health Care Deutsches Netzwerk APN & ANP g.e.V. ANP für den spezialisierten ambulanten Versorgungssektor: Woher nehmen, wenn nicht stehlen? Advanced Nursing Practice: Evolution of Nursing or a Substitute for Physicians? Advanced Nurse/Midwife Practitioner and Clinical Nurse Specialist: Are we using the same language to describe these roles? Palliative Care für (ältere) Menschen mit geistiger Behinderung – ein Arbeitsbereich für APN´s? Ambulante Versorgung in der pädiatrischen Pflege bei technikabhängigen, pflegebedürftigen Kindern – eine Aufgabe von APN Pflegeexpert*innen? Optimierung der wöchentlichen Patientenbesprechung in der Geriatrie – Eine Aufgabe, in der ANP wirksam sein kann? Diskussion: ANP- Versorgung jetzt – was bringt die Zukunft? / Discussion: ANP-supply now-what does the future hold? Innovative Technologien in der Pflege: Fluch oder Segen?